Gloria Gaynor – Happy 65th birthday! Site Index has been created! She was the first British singer-songwriter to achieve major success, and in her field she was certainly a force to be reckoned with. She may not be a familiar name to everybody, but ask any person who grew up during the 1970’s – and you will no doubt have them nodding and smiling. Well, maybe not today – the news of her death on October 1 has reached just about every corner of the world by now….. If the name and face doesn’t conjure up any memories, some of her songs no doubt will; “Sugar Me”, “Getting A Drag”, “Won’t Somebody Dance With Me”, “Ivory Tower” and her UK entry in the 1977 Eurovision Song Contest “Rock Bottom” are essential Lynsey songs. In addition to all the great stuff she herself recorded, she also composed and wrote songs for a lot of other singers. Her prolific output both on record and as songwriter adds up to a wonderful musical legacy. She made the UK singles Charts on many different occasions, and a lot of her great albums also charted. Two years ago, most of her music was collected on two great double-disc sets; “Sugar And Beyond, 1972-1974” and “Into My Music, 1975-1979”. With a total of more than 60 songs, it paints the portrait of an artist whose songs stand apart from the rest, her lyrics show her as a very good lyricist and the songs span everything from piano ballads to pop, rock and even some early 70s disco tinged material. As many of her original albums have gone out of print, and are very hard to find, these two volumes are, at present, the only option you have, if you want some de Paul in your house. For fans, they are totally essential – for the casual, curious listener it gives a stunning look into what she was all about. 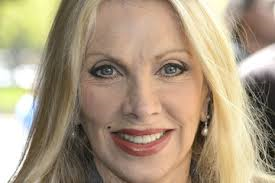 Since the early 80s, Lynsey de Paul cut down on recording, but she was still a visible figure on a lot of TV shows, and of course in the tabloids. She never married, but she had a lengthy affair with actor James Coburn. 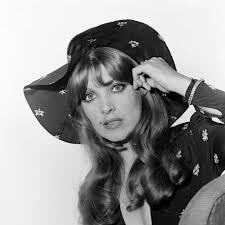 At various times she was also linked with Ringo Starr, Dudley Moore and Bernie Taupin. She always came across as one of the nice girls, and there was never any scandals involving her, she basically seemed to be the sunny blonde the record covers depicted. Well known for her intelligent comments and zany sense of humour, she was a favourite guest on many talk shows, and she was always a pleasure to watch. Known for her healthy lifestyle as well – she didn’t smoke, didn’t drink, was a vegetarian and always kept herself in good shape. Even in her later years, Lynsey still looked very much like she did at the start of her career more than 40 years ago.